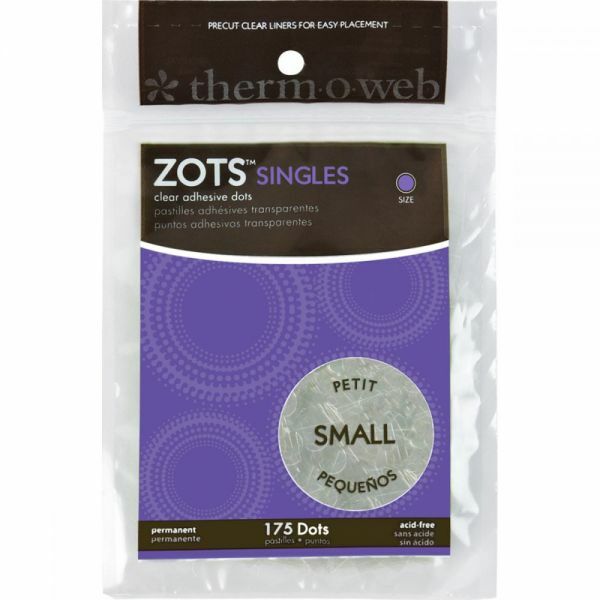 Therm-O-Web Zots Singles Small Clear Adhesive Dots - ZOTS-Clear adhesive dots for scrapbooking and other crafts. Precut clear liners for easy placement. Includes 125 or 175 dots. They provide a double-sided, clear instant bond. 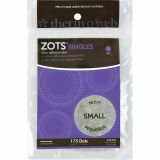 Perfect for adhering paper, photos, plastic, metals, and more! For strongest bond: use on clean, dry surface. Do not touch Zot with fingers. Size range: 3/16in to 1/2in. Acid free. Warning: Choking Hazard. Made in USA.